Here is a collection of multiple-choice questions for the Membership of The Royal College of Paediatrics and Child Health Part 1 examination. There are over 300 questions organised into 10 sections and the mixture of questions attempts to reflect the wide range of topics in the current syllabus. 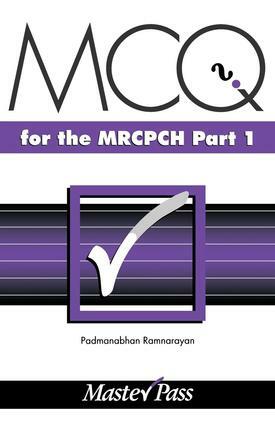 Each question has an explanatory answer, making this book an ideal revision guide for the MRCPCH examination.